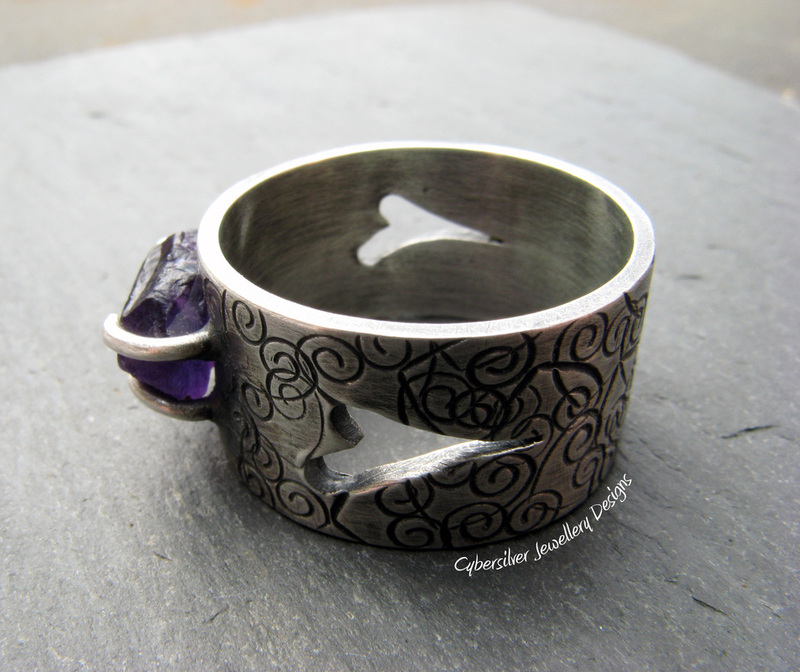 A beautiful, deep-coloured uncut Amethyst set on a 10 mm wide, sterling silver, heart-decorated ring. Hearts have also been pierced either side of the ring, and the silver has been oxidised, burnished and waxed to highlight the patternation. Due to the natural state of raw gems, each one is unique. 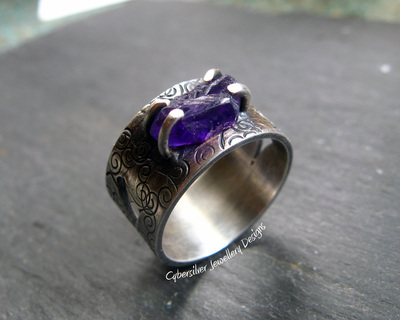 This means that each ring will feature a gemstone slightly different to the one shown, although approximately the same carat. Your ring will therefore be totally unique. Amethyst is the birthstone for February and is the stone of St.Valentine and faithful love. It is a crystal of protection and is said to foster healing and selflessness. 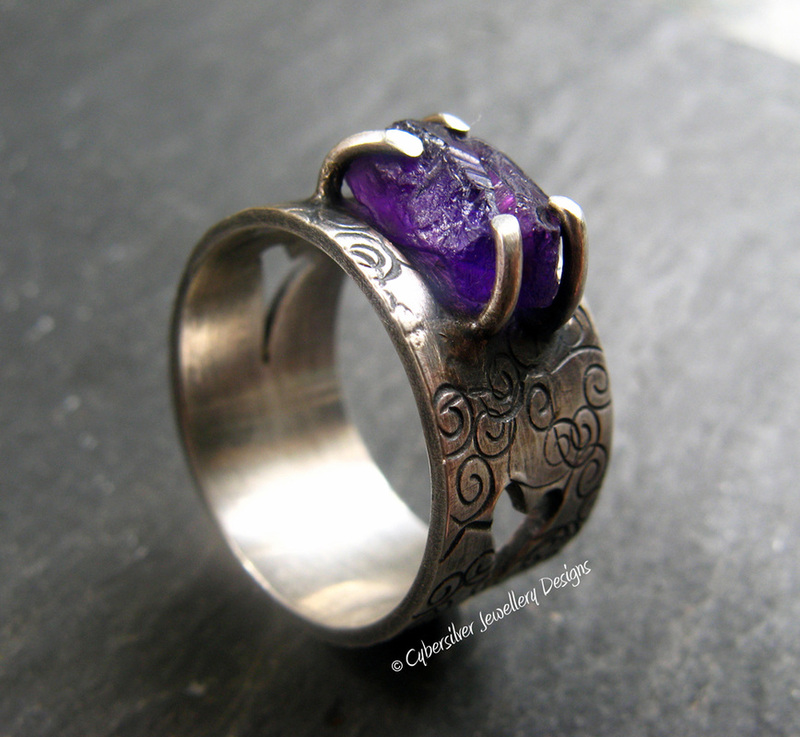 As each ring is custom made to order, please allow up to 15 working days for completion of your order.